so easy a 13 year old can do it! 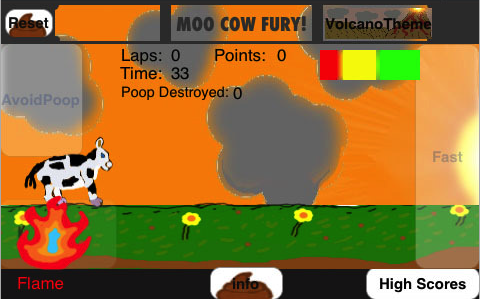 I’m guessing this will be big news soon if it’s true, but the new iPhone game Mad Cow Fury (app store link) claims to have been written by a 13 year old boy, Nicholas Weintraut. That’s right, all this stuff it’s taken me months to learn… yeah, a 13 year old kid can also do it. In other news, John Bauer and myself are starting a Minnesota iPhone Users’ Group. He registered iphone.mn, and we’re going to make it the source for news about where and when we’ll meet when we figure that out. Right now we’re thinking about getting together every other week or so. We’ll probably just sit in a coffee shop and code. Let us know if you’d like to join. Maybe Nicholas is from MN, and he’ll come hang out with us. 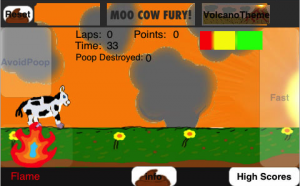 This entry was posted in Links by Martin. Bookmark the permalink.